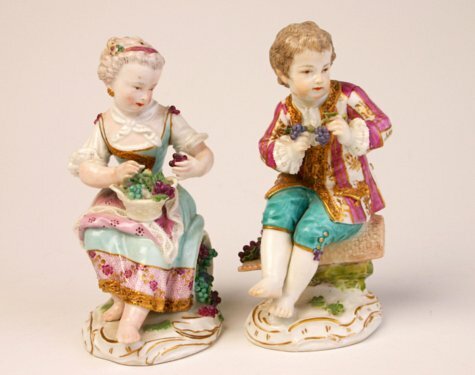 Description: Pair of Meissen figures of vintners. Probably first modelled by J J Kaendler c.1750. Crossed swords in blue with dot on unglazed base to both figures.